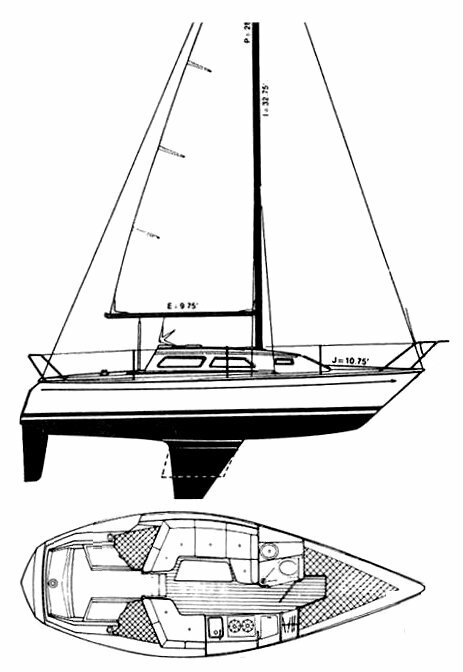 Hull design began as the CHASER 29, a production IOR 1/2 racer designed by Doug Peterson and first built in 1975. Bayliner/US Yachts used a completely different deck and a number of other changes. Molds for this version were later sold to Pearson Yachts where, with still more alterations, it became the TRITON 27. Thanks to Bruce Schaffer for providing updated information on this yacht.